English musical historian, born at Shrewsbury on the 12th of April 1726. He received his earlier education at the free school of that city, and was afterwards sent to the public school at Chester. His first music master was Edmund Baker, organist of Chester cathedral, and a pupil of John Blow. Returning to Shrewsbury when about fifteen years old, he continued his musical studies for three years under his half-brother, James Burney, organist of St. Mary's church, and was then sent to London as a pupil of the celebrated Dr. Arne, with whom he remained three years. Burney wrote some music for Thomson's Alfred, which was produced at Drury Lane theater on the 30th of March 1745. In 1749 he was appointed organist of St. Dionis-Backchurch, Fenchurch Street, with a salary of � a year; and he was also engaged to take the harpsichord in the "New Concerts" then recently established at the King's Arms, Cornhill. In that year he married Esther Sleepe, who died in 1761; in 1769 he married Mrs. Stephen Allen of Lynn. Being threatened with a pulmonary affection he went in 1751 to Lynn in Norfolk, where he was elected organist, with an annual salary of �0, and there he resided for the next nine years. During that time he began to entertain the idea of writing a general history of music. His Ode for St. Cecilia's Day was performed at Ranelagh Gardens in 1759; and in 1760 he returned to London in good health and with a young family; the eldest child, a girl of eight years of age, surprised the public by her attainments as a harpsichord player. The concertos for the harpsichord which Burney published soon after his return to London were regarded with much admiration. In 1766 he produced, at Drury Lane, a free English version and adaptation of J. J. Rousseau's operetta Le Devin du village, under the title of The Cunning Man. The university of Oxford conferred upon him, on the 23rd of June 1769, the degrees of Bachelor and Doctor of Music, on which occasion he presided at the performance of his exercise for these degrees. This consisted of an anthem, with an overture, solos, recitatives and choruses, accompanied by instruments, besides a vocal anthem in eight parts, which was not performed. In 1769 he published An Essay towards a History of Comets. Amidst his various professional avocations, Burney never lost sight of his favorite object -- his History of Music -- and therefore resolved to travel abroad for the purpose of collecting materials that could not be found in Great Britain. Accordingly, he left London in June 1770, furnished with numerous letters of introduction, and proceeded to Paris, and from there to Geneva, Turin, Milan, Padua, Venice, Bologna, Florence, Rome and Naples. The results of his observations he published in The Present State of Music in France and Italy (1771). Samuel Johnson thought so well of this work that, alluding to his own Journey to the Western Islands of Scotland, he said, "I had that clever dog Burney's Musical Tour in my eye." In July 1772 Burney again visited the continent, to collect further materials, and, after his return to London, published his tour under the title of The Present State of Music in Germany, the Netherlands and United Provinces (1773). In 1773 he was chosen a fellow of the Royal Society. In 1776 appeared the first volume (in 4to) of his long-projected History of Music. In 1782 Burney published his second volume; and in 1789 the third and fourth. 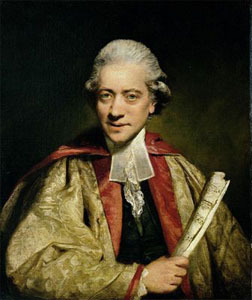 Though severely criticized by Forkel in Germany and by the Spanish ex-Jesuit, Requeno, who, in his Italian work Saggj sul Ristabilimento dell' Arte Armonica de' Greci e Romani Cantori (Parma, 1798), attacks Burney's account of the ancient Greek music, and calls him lo scompigliato Burney, the History of Music was generally recognized as possessing great merit. The least satisfactory volume is the fourth, the treatment of Handel and Bach being quite inadequate. Burney's first tour was translated into German by Ebeling, and printed at Hamburg in 1772; and his second tour, translated into German by Bode, was published at Hamburg in 1773. A Dutch translation of his second tour, with notes by J. W. Lustig, organist at Groningen, was published there in 1786. The Dissertation on the Music of the Ancients, in the first volume of Burney's History, was translated into German by J. J. Eschenburg, and printed at Leipzig, 1781. Burney derived much aid from the first two volumes of Padre Martini's very learned Storia della Musica (Bologna, 1757-70). One cannot but admire his persevering industry, and his sacrifices of time, money and personal comfort, in collecting and preparing materials for his History, and few will be disposed to condemn severely errors and oversights in a work of such extent and difficulty. In 1774 he had written A Plan for a Music School. In 1779 he wrote for the Royal Society an account of the infant Crotch, whose remarkable musical talent excited so much attention at that time. In 1784 he published, with an Italian title page, the music annually performed in the pope's chapel at Rome during Passion Week. In 1785 he published, for the benefit of the Musical Fund, an account of the first commemoration of Handel in Westminster Abbey in the preceding year, with an excellent life of Handel. In 1796 he published Memoirs and Letters of Metastasio. Towards the close of his life Burney was paid �00 for contributing to Rees's Cyclopaedia all the musical articles not belonging to the department of natural philosophy and mathematics. In 1783, through the treasury infitience of his friend Edmund Burke, he was appointed organist to the chapel of Chelsea Hospital, and he moved his residence from St. Martin's Street, Leicester Square, to live in the hospital for the remainder of his life. He was made a member of the Institute of France, and nominated a correspondent in the class of the fine arts, in the year 1810. From 1806 until his death he enjoyed a pension of �0 granted by Fox. He died at Chelsea College on the 12th of April 1814, and was interred in the burial ground of the college. A tablet was erected to his memory in Westminster Abbey. Burneys portrait was painted by Reynolds, and his bust was cut by Nollekens in 1805. He had a wide circle of acquaintance among the distinguished artists and literary men of his day. At one time he thought of writing a life of his friend Samuel Johnson, but he retired before the crowd of biographers who rushed into that field. His character in private as well as in public life appears to have been very amiable and exemplary. Burney's eldest son, James, was a distinguished officer in the royal navy, who died a rear-admiral in 1821; his second son was the Rev. Charles Burney, D.D. (1757-1817), a well-known classical scholar, whose splendid collection of rare books and manuscripts was ultimately bought by the nation for the British Museum; and his second daughter was Frances (Madame D'Arblay). The Diary and Letters of Madame D'Arblay contain many minute and interesting particulars of her father's public and private life, and of his friends and contemporaries. A life of Burney by Madame D'Arblay appeared in 1832. Besides the operatic music above mentioned, Burney's known compositions consist of (1) Six Sonatas for the harpsichord; (2) Two Sonatas for the harp or piano, with accompaniments for violin and violoncello; (3) Sonatas for two violins and a bass: two sets; (4) Six Lessons for the harpsichord; (5) Six Duets for two German flutes; (6) Three Concertos for the harpsichord; (7) Six concert pieces with an introduction and fugue for the organ; (8) Six Concertos for the violin, etc., in eight parts; (9) Two Sonatas for pianoforte, violin and violoncello; (10) A Cantata, etc. ; (11) Anthems, etc. ; (12) Twelve Canzonetti a due voci in Canone, poesia dell' Abate Metastasio.